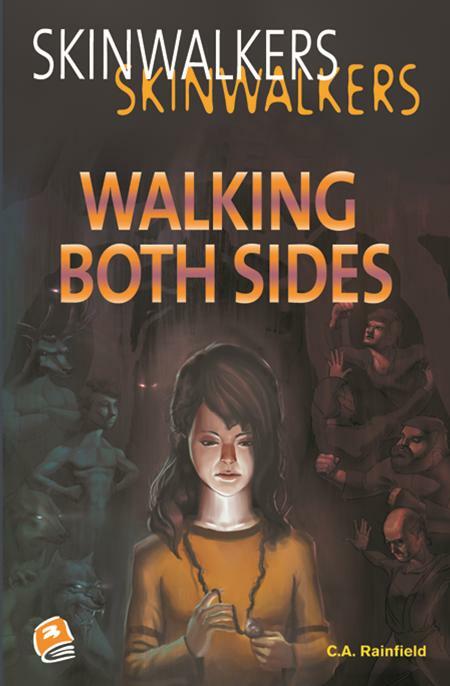 In Walking Both Sides, Claire and her cousin accidentally shoot a Skinwalker – someone who can shift between human and animal shapes. At first, they are both captured by Skinwalkers seeking revenge, but Claire befriends one of the Skinwalkers. When a group of villagers attack the Skinwalker camp, Claire has to make a difficult choice – to betray her human kind or to stand beside the gentle Skinwalkers she knows.